Concentrated SunSmile® Herbal Toothpaste tastes so clean and fresh, even children like it, and it doesn’t leave a gritty film on your teeth. It delivers powerful cleaning action without the potentially harmful ingredients found in regular toothpastes. 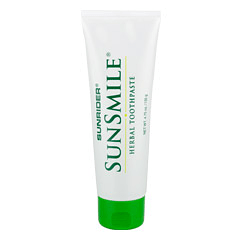 Read the warning labels on retail brands, then feel the difference with SunSmile® Herbal Toothpaste. Brush your teeth regularly with SunSmile? Herbal Toothpaste in the morning, after you eat, and at night. You will feel refreshed, smell great, and ready to smile all day long. Concentrated SunSmile® Herbal Toothpaste tastes so clean and fresh, even children like it, and it doesn’t leave a gritty film on your teeth. It delivers powerful cleaning action without the potentially harmful ingredients found in regular toothpastes. 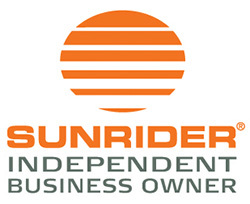 Read the warning labels on retail brands, then feel the difference with SunSmile? Herbal Toothpaste.